Obituary for Donna F. (Schlosman) Watson | Devlin-Rosmos-Kepp F.H. & C. S.
Donna F. (Schlosman) Watson, 71, of Spring City, PA, died Friday August 17, 2018 at LifeCare Hospital, West Chester, PA.
Born in Phoenixville, PA, she was the daughter of the late Donald and Marian (Lawrence) Schlosman. She was a graduate of Saint Pius X High School. She worked in the Billing Department at Phoenixville Hospital for many years until her retirement. She loved life and lived it to the fullest. She was always interested in Arts and Crafts, especially knitting and crocheting. 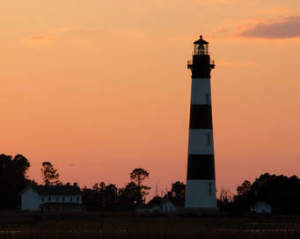 She loved lighthouses, sunsets on the beach, spending summer at the Delaware beaches and family vacations in Pawleys Island, SC. Family was very important to Donna. She treasured the time spent with her 2 sons, granddaughter, and her sisters. A Celebration of Donna's Life will be held at Liberty Fire Co. #1, 118 Hall Street, Spring City, PA 19475 on Sunday, September 23, 2018 at 1:00 pm. If attending, please RSVP to george.watson34@aol.com by September 15, 2018. In lieu of flowers, donations may be sent to Main Line Animal Rescue, 1149 Pike Springs Rd., Chester Springs, PA 19425. Condolences may be given at www.GatchaFuneral.com.